The article's headline was explosive — ‘Highly likely' GRU hacked UK institute countering Russian fake news - and the content equally incendiary, with security officials said to regard the attack as extremely significant, given it would mark the first time Russia had conducted a "hack-and-leak operation" in Britain. However, close examination of the piece — and its accompanying video package — reveal the sensational report to be an extended exercise in damage limitation, and self-promoting spin of the slipperiest sort. For one, the assured headline judgement isn't the NCA's, but merely the alleged appraisal of anonymous "Whitehall sources" — which could of course be almost anyone. The NCA's own statement on its inquiry — conspicuously buried halfway through the piece — is thoroughly concise and circumspect, a spokesperson merely confirming the Agency is conducting a criminal investigation "into a suspected cyberattack", and declining to comment further as the probe is ongoing. Quite why the "Whitehall sources" were so confident in their attribution is a mystery, particularly as Institute co-founder and chief Chris Donnelly — interviewed by Haynes in his homely living room in Cumbria — himself concedes he possesses no "forensic proof" of who carried out the hack and why, and the GRU being responsible is merely his organisation's "assessment", as it's "the only thing that makes sense". He also suggests the hackers using "sophisticated techniques" and "not leaving behind easy-to-spot tracks" was a strong indication of a Kremlin-sponsored attack — in other words, the best evidence of Russian involvement is none can be found. Donnelly also seized the opportunity to spout some of the Institute's key messaging, claiming Russian President Vladimir Putin, "his colleagues and the whole Russian defence and security apparatus" viewed Russia as already being at war with the West. "We in the UK and Europe find this really hard to believe…because we can't see things through their eyes. Putin has had to make the West his enemy to keep himself in power and justify his position," Donnelly said, apparently without irony. ​This allegation repeatedly surfaces in Institute documents circulated to journalists and others — although actual Russia experts disagree with the notion in the strongest terms. The bizarre accusations don't end there, however — an anonymous Institute employee is said to suspect "intruders had on a number of occasions broken into his home and moved objects around, including miniature figurines on a shelf". The nameless staffer said this was "a concern", but nonetheless unsurprising given such tactics were used by "Russian security services against certain foreign diplomats, military personnel, journalists and others living in Moscow", as "part of the bigger game of exerting psychological pressure to unsettle, deflect, divert focus". One would think the dastardly GRU would've done far more than merely change the positioning of some decorative toys — although that these repeated home intrusions are merely "suspected" indicates the accuser acknowledges someone or something closer to home (such as a cleaner, or the wind) may be responsible. 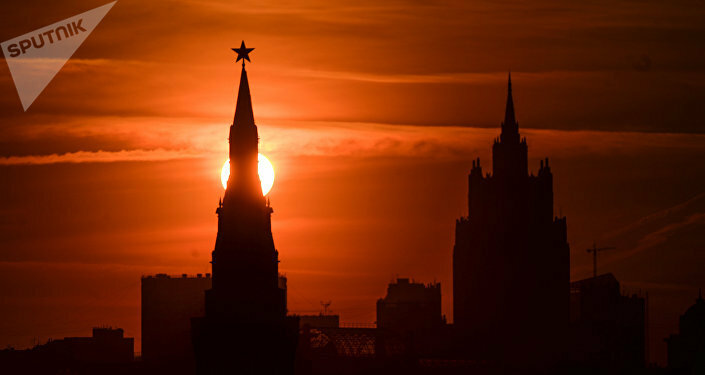 Nevertheless, The Guardian's Luke Harding has made similar claims, alleging he was subject to a concerted campaign of harassment by the FSB while posted in Moscow, which included the agency deleting his computer's screensaver, leaving his apartment windows open and removing batteries from his alarm clock, among other low-level acts of sabotage. That Haynes authored the piece is notable, but perhaps unsurprising. As she notes, her name features repeatedly in the Institute's files — and she alleges Sputnik and RT reporting on the leaks suggests "journalists, including myself, are improperly associated with the Integrity Initiative". For my part, I've never implied Haynes necessarily has an "association" with the organisation, proper or improper — although ascertaining the precise nature of her relationship with the Institute has been somewhat difficult. Despite claiming to not be "associated with them in any formal or informal way", she's demonstrably written a great many articles based on meetings arranged and/or convened by the Institute, information — or perhaps disinformation — it has provided to her, and featuring comments from its staff and/or cluster members. This history arguably represents a significant — and undisclosed — conflict of interest. For example, in July 2016 the organisation facilitated the visit of five Ukrainian Special Ops soldiers to the UK. Bankrolled by the Ministry of Defence, the week-long trip saw the quintet tour key military installations and brief British and NATO military intelligence and planning units — and meet with Haynes, who produced a piece on the rendezvous the next month. As the sole journalist named in the tour itinerary, it's not clear why she failed to publicize the significant scoop for so long — and indeed why she doesn't directly acknowledge meeting the Ukrainians in the article itself. Haynes would write at least one other article with Institute input that year — Russia waging cyberwar against Britain — which was the lead front-page story in The Times on 17 December. The next March, in a funding bid submitted to the Ministry of Defence, the organisation would list the ‘splash' as one of its key "[successes] so far". However, it was in the wake of the apparent nerve agent attack on Sergei Skripal and his daughter Yulia in March 2018 Haynes' value to the organisation — of which she genuinely may be entirely unaware — would be most starkly revealed. Under the auspices of ‘Operation IRIS' the Institute attempted to systematically shape media reporting on, and Whitehall's response to, the Salisbury incident, perpetuating various narratives surrounding that would dominate mainstream news coverage of the affair the world over for months afterwards. Haynes was a key facilitator of the effort, even if unknowingly, featuring many Institute and Initiative operatives and cluster members in the myriad articles she wrote on the affair. 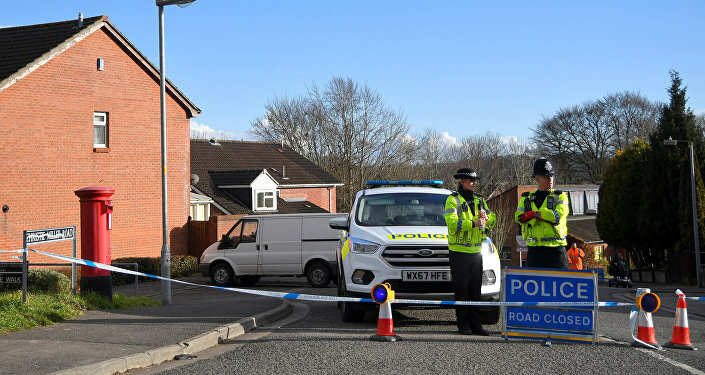 On 5 March for instance, a mere day after the attack, Haynes interviewed Igor Sutyagin — who came to the UK as part of the same ‘spy swap' as Skripal in 2010, and is part of the Initiative's UK cluster — who said he "was not worried about his safety, even after news broke about the sudden critical ill-health of his compatriot". Haynes also suggested Sutyagin and Skripal "remained wanted men in Russia" — somewhat questionably, given they were electively released from prison by Moscow eight years earlier, and Skripal kept in regular contact with the Russian embassy after his arrival in the UK — concluding the article with a quote from Alexander Goldfarb, a friend of Skripal and FSB defector Alexander Litvinenko, who said "it was reasonable to think the Kremlin was involved". Linking Litvinenko's mysterious death in 2006 with Skripal was a key aim of ‘Operation IRIS' — after all, it would help lay blame for the Salisbury incident squarely on the Russian state, before a motive was established, any perpetrators identified, or other basic facts ascertained. So it was five days after the Skripals were struck, Haynes wrote an article quoting Institute ‘senior fellow' Victor Madeira which fulfilled this objective — Spy mystery: Sergei Skripal's contact with MI6 in Spain suggests links to Litvinenko case. The case presented for the speculative headline is extremely scant — that Skripal was recruited by MI6 in Spain and his daughter "spent time in Barcelona and speaks Spanish", while Litvinenko was "helping Spanish authorities to crack down on Russian gangs when he was poisoned", is said to constitute a "possible connection" between the pair — although the piece provided a perfect opportunity to feature the now infamous photo of an ailing Litvinenko during his final days at University College London in the paper. Intriguingly, internal files indicate the organization strongly advocated for the publication of "striking images" such as "the iconic 2006 photograph of Litvinenko on his deathbed" in the mainstream media, in order to tell "a high-impact visual story". On 13 March, Haynes would also give prominent billing to Dan Kaszeta, a ‘counterfeit' chemical weapons expert connected to Integrity Initiative, who five days prior stated the Skripals may have been stricken by novichok, seemingly the very first source to do so. To her credit, Haynes makes two vague acknowledgements of possible impropriety on the Institute's part. For one, she notes the organization is "registered in Scotland as an educational charity but based in London and with about 12 staff" — although fails to acknowledge providing false information to the Scottish Charity Regulator is illegal, and the body has launched an official inquiry into the Institute as a result. More substantially though, she records the Initiative's Twitter account retweeted "a small number of posts hostile to Jeremy Corbyn" — potentially breaching rules relating to both state funding and charity activity in the process — for which the Institute "has since apologised". ​"Small" the volume may have been, but their content warrants close examination. The retweets were all of articles viciously critical of Corbyn, which dishonestly sought to paint the Labour leader and his supporters as apologists — if not outright advocates — for Vladimir Putin. One piece was written by Initiative cluster operative and Times columnist Edward Lucas, with the organization quoting his charge that Corbyn was "a useful idiot" whose "visceral anti-Westernism helped the Kremlin cause". Another was a post on an obscure and rarely updated blog which claimed Corbyn had an "admiration" for dictators and was guilty of "conspiratorial scepticism" for demanding evidence of Russian state involvement in the poisoning of Sergei Skripal and his daughter Yulia. One of the anti-Corbyn posts also wasn't a retweet, but a screengrab of a user identifying as a Labour party member enquiring "Being British how do I vote for Putin?". Whether they spoke seriously or not, the account in question has amassed a mere 82 followers since creation in May 2015, begging the obvious question of why the Initiative felt their statement sufficiently significant to highlight. Some answer may be provided by historian Mark Curtis' extensive analysis of the Twitter output of 11 individuals who are listed in the Initiative's clusters, or have spoken at events convened by the organisation — including none other than Haynes herself. Each one of them has, via the social network, "[inferred] Corbyn (and [Julian] Assange) are in effect agents of Russia and/or are willingly and knowingly amplifying Russia's agenda, as little more than ‘tools', with no evidence provided (understandably, since there is none)", Curtis concluded. In any event, as the leaked files amply demonstrate, the organization's anti-Corbyn activities have gone far further than mere tweets. For instance, in August 2015 Ben Nimmo — then-Senior Fellow at the Institute — authored a piece for The Daily Beast (Putin Loves Labour's Leader-in-Waiting) in which he alleged the Kremlin was "pushing far-left Corbyn's candidacy for party leader". He described RT as being "solidly in [Corbyn's] corner", and claimed from 1 June to 10 August that year RT had published 25 stories with headlines bearing Corbyn's name, of which "21 were positive or neutral, while just four were negative, a proportion of 84 percent positive" — the methodology by which he determined these figures wasn't disclosed. While conceding Corbyn was likewise the most ‘headlined' candidate on the BBC website, Nimmo also documented Corbyn's prior appearances on the channel, alleging RT "has a track record of backing election candidates whose policies would be likely to make Britain more fragmented, more isolated and less militarily capable." While his connection to the Institute was at no point disclosed in the article, it appeared in an Institute 'impact' statement tracking how many unique views various pieces written by the organization's operatives had received "as at" 19 April 2016. Moreover, in March the next year, Nimmo submitted written evidence to the House of Commons Defence Committee which rehashed much of the Daily Beast article's content. While the paper stated it was "submitted in a personal capacity", the leaked files list the submission as part of the Institute 'production timetable' for March — June 2016, along with a number of articles and reports he also authored. Most sinisterly though, in February 2018 Glen O'Hara, Professor of Modern and Contemporary History Oxford Brookes University, gave a presentation at the Institute's offices in Two Temple Place, London — Who Are the Corbynites, and What Do They Believe?. It's not clear why the organization commissioned this detailed demographic analysis, but it surely wasn't mere idle curiosity — and it may be significant Barrie Axford, Professor of Politics at Oxford Brookes, is apparently a member of Specialist Group Military Intelligence, a secretive British army regiment of which Institute chief Donnelly is an honorary colonel, with responsibility for recruitment. Whatever the truth of the matter, the Initiative's anti-Corbyn Twitter output caused a minor scandal when exposed in the final months of 2018, leading Shadow Foreign Secretary Emily Thornberry to ask Foreign Office Minister Alan Duncan an ‘urgent question' on the issue in parliament 12 December. Two days earlier, Duncan claimed he'd been outraged to learn of the posts. "If there is any kind of organisation for which we are paying which is involved in domestic politics in that way, I would totally condemn it…I have asked for a report to be on my desk by 10 o'clock this morning to say if there is any such activity…Not only must it stop, I want to know why on earth it happened in the first place," he told BBC Radio 4's Today programme. Any indignation the Minister may have felt had evidently evaporated when he addressed Thornberry's query in the House of Commons — he claimed allegations Whitehall effectively funded domestic party political activity via its bankrolling of the Institute were "wholly untrue" and "utterly unfounded", and he'd seen no evidence the Initiative had breached its obligation "[not] to influence, or attempt to influence, the UK Parliament, Government or political parties". Duncan would proceed to stonewall all subsequent questions from concerned MPs of all parties, even when Thornberry pointed out growth of the Initiative's Twitter account was stated as one of the organisation's key ‘deliverables' in its application for Foreign Office funding. "The Minister is burying his head in the sand. The fact is this organisation has received more than £2 million of public money in just over 18 months, and it is a matter of fact it has been engaging in a smear campaign against the Leader of the Opposition and the Labour party. It has also taken credit for derailing the appointment of Pedro Banos as the director of Homeland Security in Spain. This is a democratic outrage…Will the Minister therefore agree to an independent inquiry into the activities of this organisation?" Labour MP Chris Williamson fulminated. Thornberry has been silent on the scandal ever since, but Williamson subsequently submitted several requests for information on Whitehall's support for, and awareness of, the Initiative's activities online and offline — all went unanswered, on the grounds of ‘national security'. He's since been suspended from the Labour party, due to flagrantly bogus allegations of anti-Semitism. Hi @AlanDuncanMP, in December you said it was "utterly untrue" that @InitIntegrity was "smearing the Leader of the Opposition" @jeremycorbyn. Would you like to revise that statement in light of the activities I document in this article — https://t.co/rm4P61owIg? Thanks. ​Fittingly, Duncan makes an appearance in Haynes' article, enthusiastically endorsing Donnelly's evidence-free narrative. He claims the hack "followed the pattern of previous cyberattacks linked to Russia" and the Institute was targeted "because it's doing some good things" which had "clearly got under Russia's skin". As a result, he suggests, the Kremlin was "fighting back and trying to discredit it using a useful idiot like Chris Williamson" — exactly echoing the calumny levelled by Lucas at Corbyn so controversially quoted by the Initiative's Twitter account. Duncan also took aim at the Working Group on Syria, Propaganda and Media, which produced an extensive analysis of the Institute's activities — while many have praised the Group's work, Duncan referred to them as just some of the "academics dotted around the UK who, whenever there is something pro-Russian, row in behind it in a co-ordinated way". "We should not be taken for a sucker. We should realise what these people are doing together against our interests and against the interests of democracy more widely," he said. In response, Group member Professor David Miller of the University of Bristol dubbed Duncan's comments "defamatory". "The minister should be ashamed of himself and withdraw the comments. If ever there was evidence of Deborah Haynes involvement with the Integrity Initiative, this is it," he tells me. Whatever the truth of Haynes' relationship with the Institute, or lack thereof, her honorary membership of the Pen & Sword Club isn't in question, as it's openly advertised on the organisation's website. Established by Territorial Army Public Information Officers, the group "[provides] a link between serving and retired officers and supporters within the Ministry of Defence", its "main mission" is "the promotion of media operations as a necessary and valued military skill in the 21st century". Haynes is one of very few journalists named in their ‘club members' section — almost all others have military backgrounds, or are NATO officials. While there's no suggestion Haynes has a military and/or intelligence history, at the very least her honorary membership is surely an indication she's cognisant of how news reporting serves state propaganda purposes, and supportive of military "media operations". The Sky News piece is arguably a prime example of such an "operation" — a ‘limited hangout' offering the illusion of balance while in reality providing the Institute with an unchallenged platform. Strikingly, in implicit support of the notion Russia was behind the hack, Haynes infers only "Russian state-funded news [outlets]" Sputnik and RT have reported on the files — in the process ignoring the valuable work of the Scottish Mail, Canary, Daily Record and Grayzone Project on the leaks, among others. "Both media organisations have reported extensively on what they describe as a ‘scandal', claiming the leaks reveal murky British meddling in other countries' affairs and even suggesting the institute played a role in the nerve agent attack on the Skripals…Kremlin-funded media outlets have used the leaks to accuse Britain of conducting ‘shadowy' information operations to stoke anti-Russian sentiment around the world," she writes. If Haynes intended to produce a genuinely balanced article, she would've perhaps provided some excerpts from the files — for that they reveal "murky British meddling in other countries' affairs" and "information operations to stoke anti-Russian sentiment around the world" isn't merely a claim, it's a conclusion most people who actually set eyes on the contents reach objectively in my experience. For instance, one document actively boasts of the success of 'Operation Moncloa', the effort to block the appointment of Pedro Banos as Spain's Director of National Security, referenced by Chris Williamson in the House of Commons. 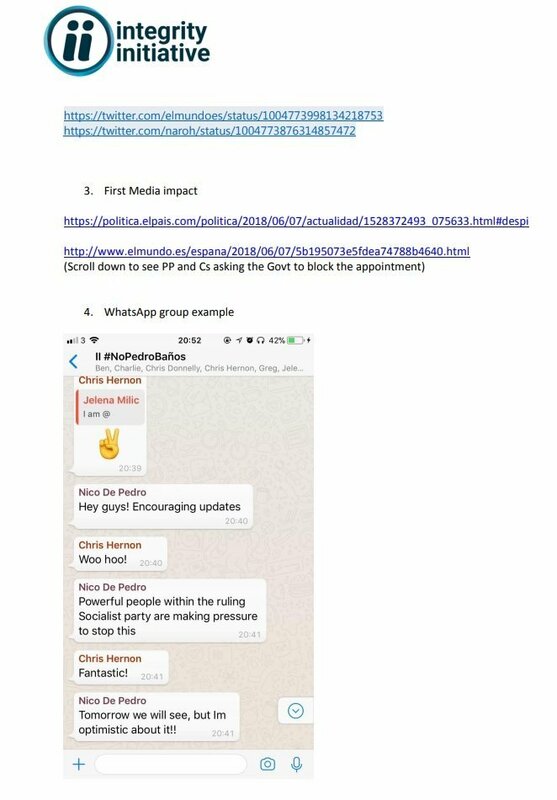 When Banos' candidacy was announced, members of the Integrity Initiative's Spanish 'cluster' — including Gonzalez Ponz, spokesperson of the Partido Popular in the European parliament, and Nacho Torreblanco, director of the European Council for Foreign Relations Office in Madrid — colluded via a WhatsApp group to flood social networks with anti-Banos messages, and provide the Spanish media with a 'dossier' of negative material on the former head of counterintelligence and security for the European army. The Initiative's UK cluster supported their work — within 24-hours, the planned appointment was dropped. Moreover, secreted and unacknowledged in Haynes' article is one of the strongest arguments in favour of the ‘cyberattack' not being Russian in origin — she notes the files have been leaked in a series of "dumps", the first of which was in "early November", but it was not until "late November" that Sputnik first reported on their contents. That the mainstream media has almost universally failed to acknowledge the leaks, much less report on the files' contents, is surely far more suspicious than Sputnik and RT having done so — although it's no mystery why this is the case. In an internal Institute file dated 30 May 2018, Institute staffer (and potential MI5 operative) Euan Grant discusses a "proposed programme and methodology for…countering Russian destabilisation and disinformation". Part of the plan includes providing "early briefings" of damaging material on Russia sourced from a variety of government agencies — including the NCA, intriguingly — to "press and media where [the Institute] has particular links", including "the Times, Telegraph, Guardian and BBC TV and radio and specialist correspondents". Still, the Institute's narrative on the hack has now seemingly been accepted by Whitehall, given a legitimizing stamp of approval by both government agencies and ministers. The Foreign & Commonwealth Office's funding cycle ends 31 March 2019 — Alan Duncan's fervent advocacy of the organization is surely an indication its disbursement is likely to be renewed in the coming year. 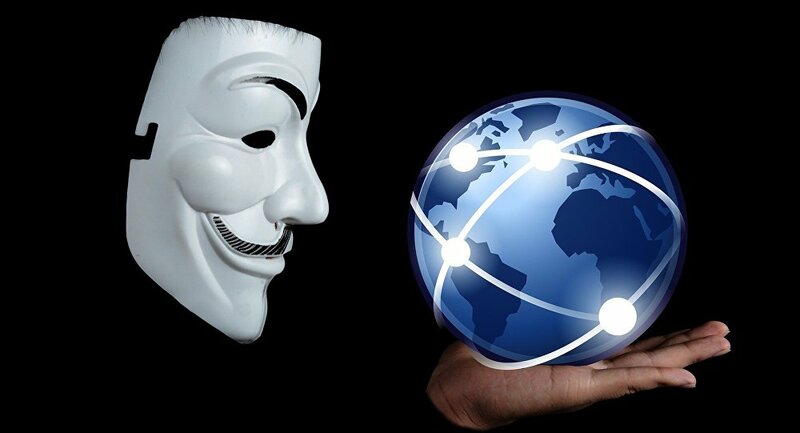 What nefarious activities the Institute proposes to do next is anyone's guess — although I hope Anonymous will illuminate us in due course.